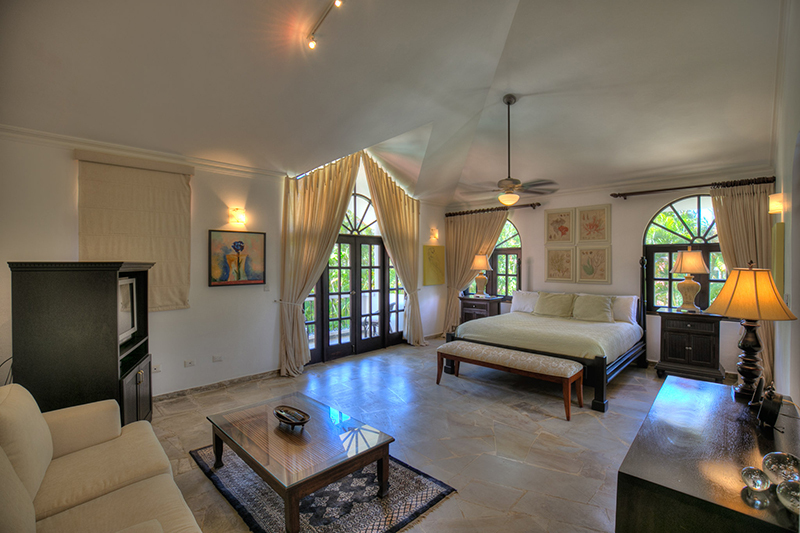 Villa Diana is a luxury vacation villa with exquisite space and location. 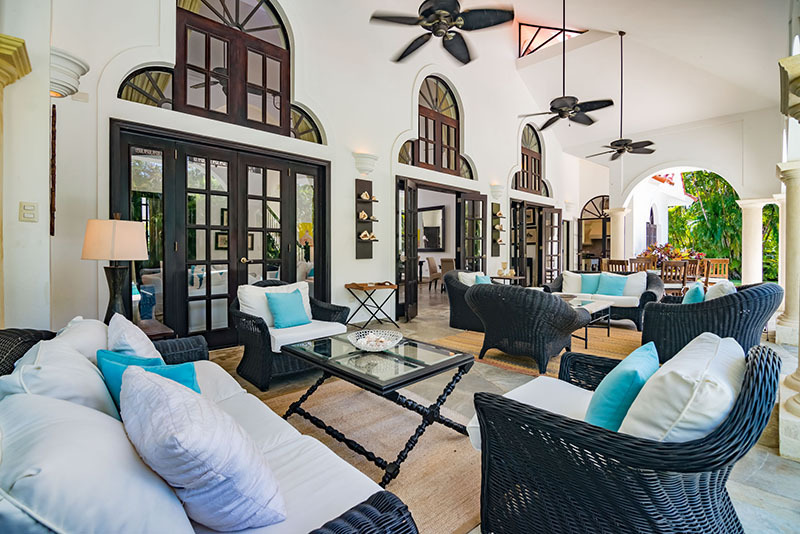 This four bedroom luxury Caribbean property is a classic beach villa with beautiful architecture, an open floor plan, and harmonious interiors embodying both sophistication and relaxed coastal living. 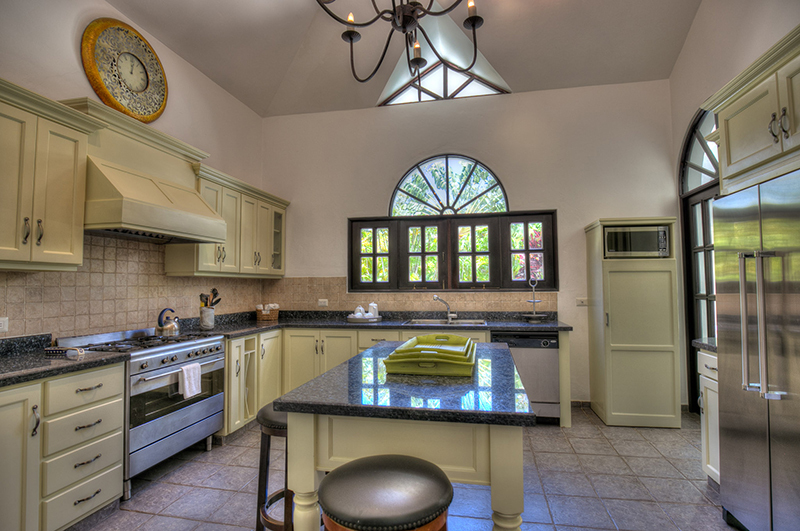 The contemporary kitchen with inspired vintage style features Viking appliances, counter tops in rich coal granite with spectacular iridescent blue flecks, and fresh vanilla painted cabinetry. 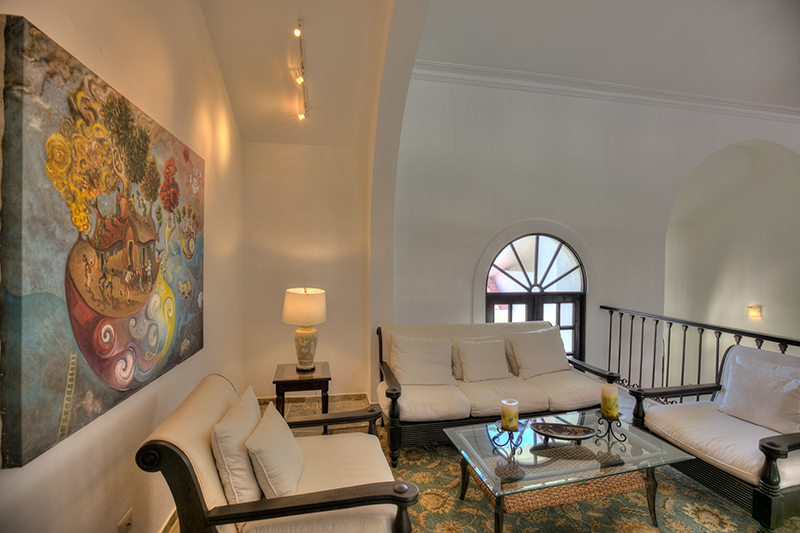 An expansive terrace provides ample entertaining space, or a quiet retreat, with several comfortable couches for lounging. 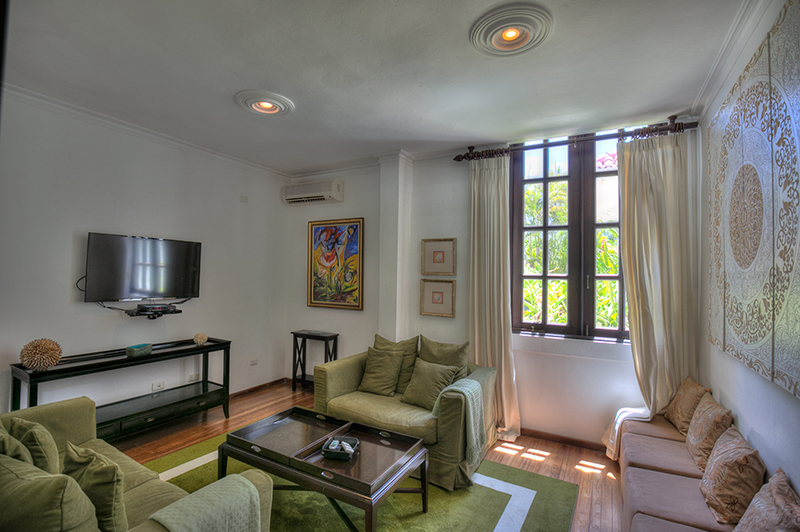 A nicely furnished media room with cherry floors and large screen TV provides comfortable viewing for films and television. 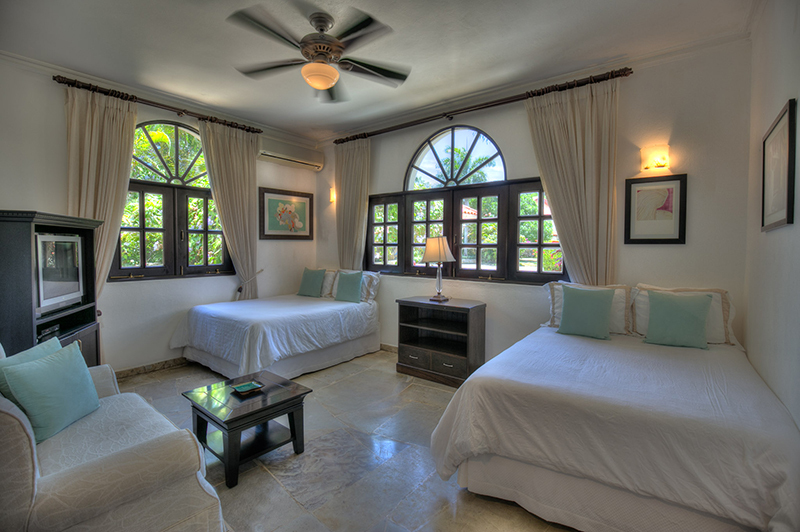 All four elegant bedrooms are tastefully furnished in sage and amber hues. 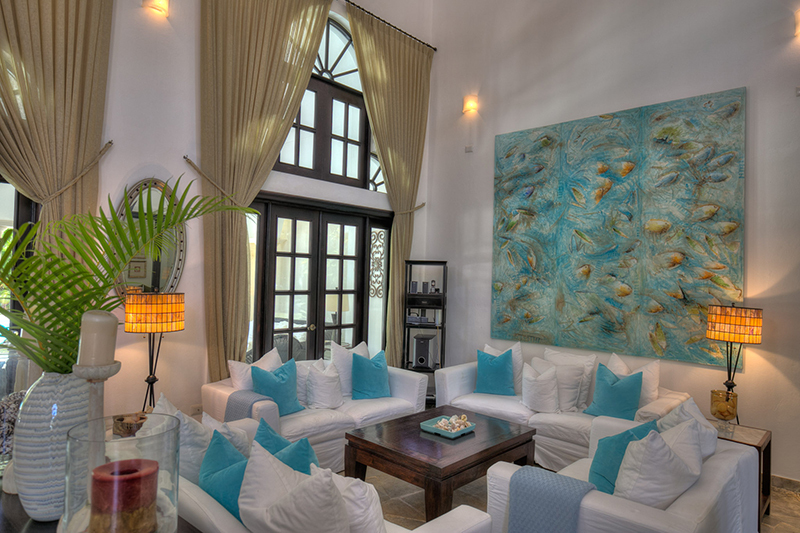 An eclectic mix of local art in serene palettes and vintage black and white local photography connect the home to the local colors and environment. 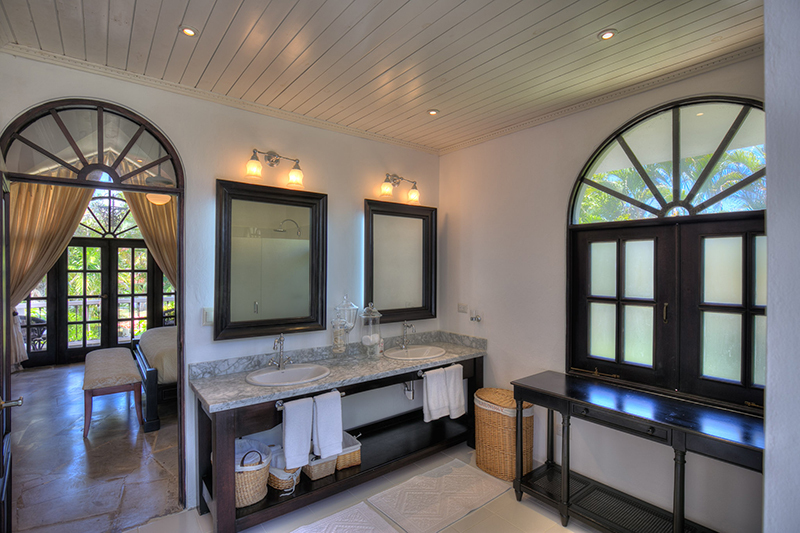 All bedrooms have en-suite bathrooms finished in marble vanities, with crisp white tiles, abundant storage and stocked with Frette towels. 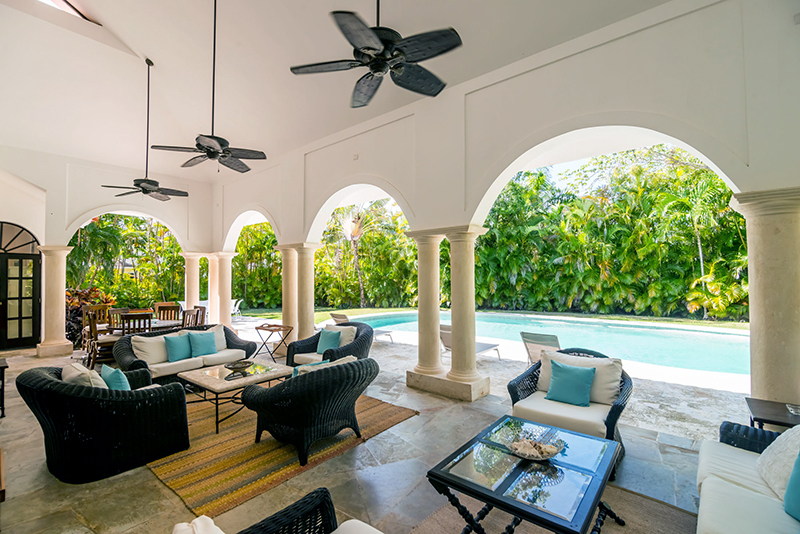 The living and dining area open to a terrace for seamless indoor-outdoor living. 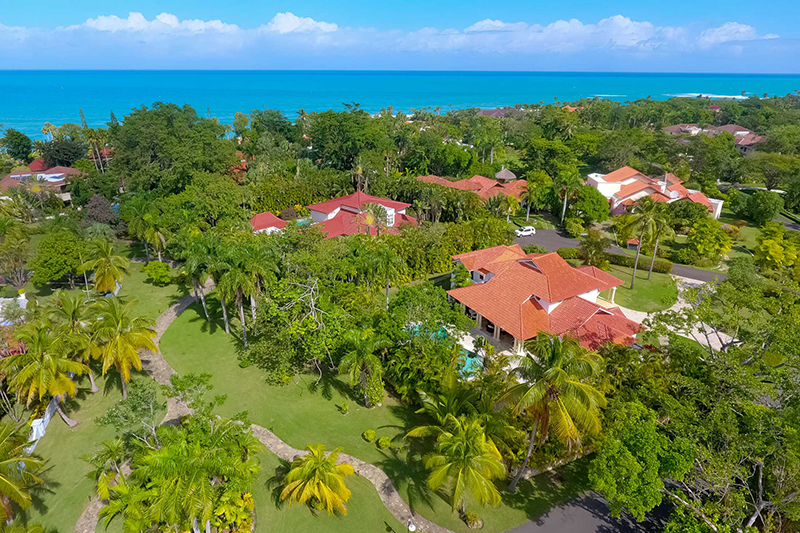 More than twenty royal palms grace the lush gardens. 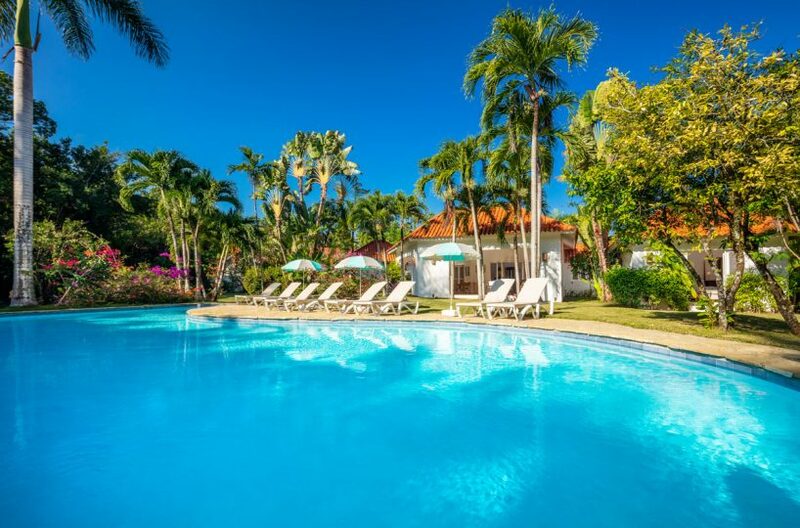 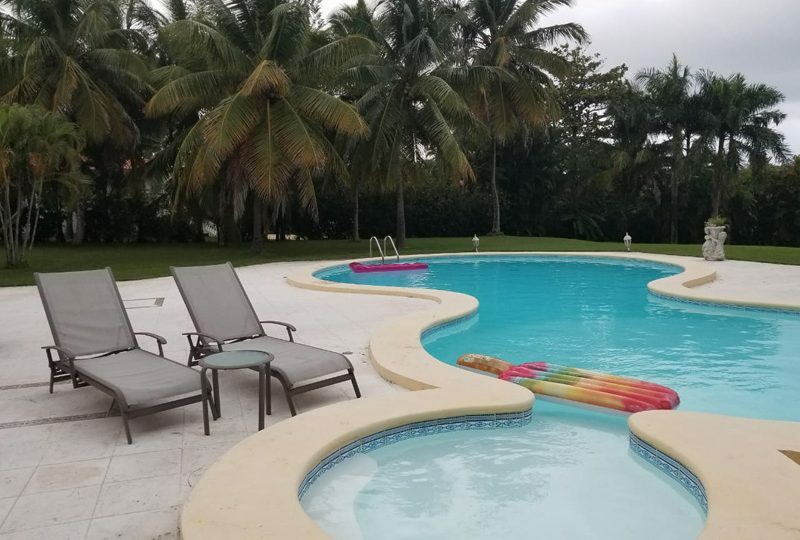 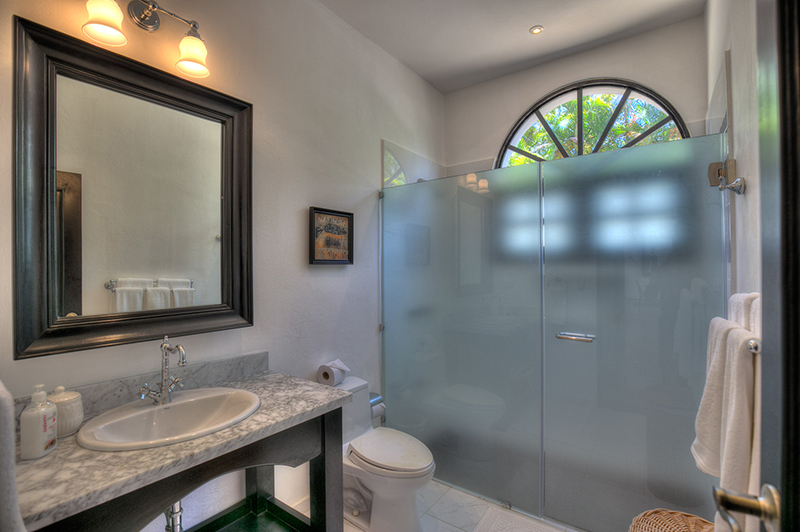 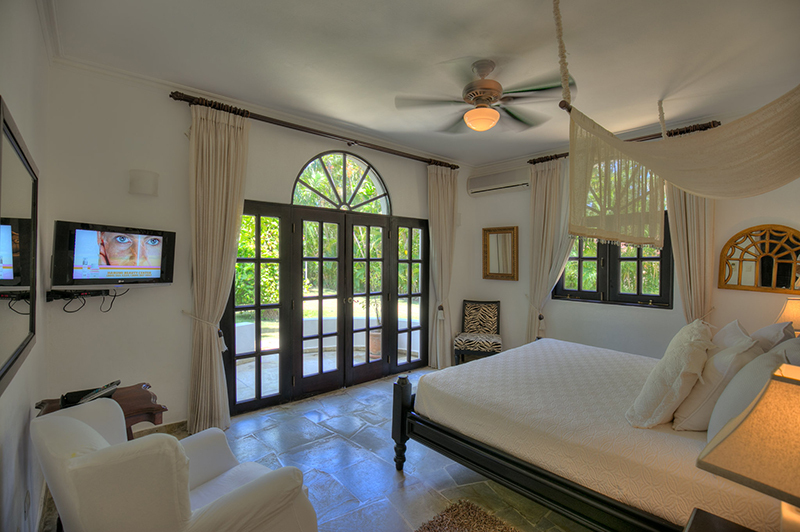 Villa Diana is serenely located on a quiet cul de sac that leads to the Sea Horse Ranch beaches. 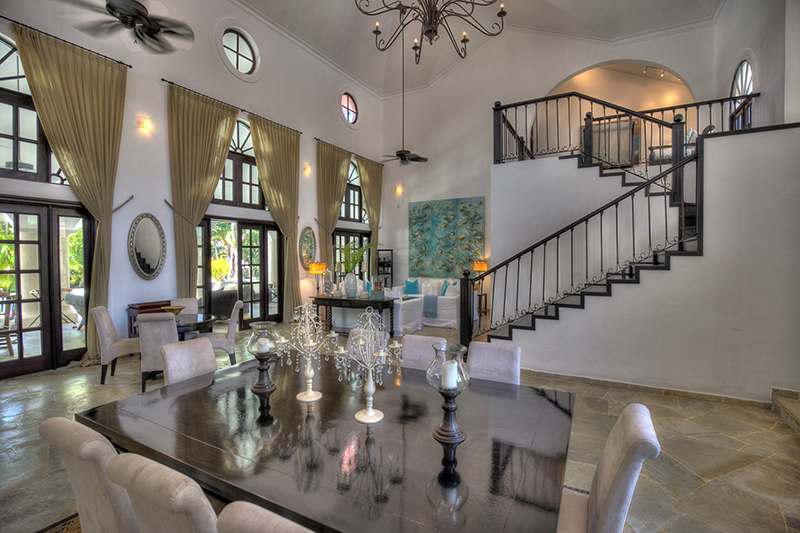 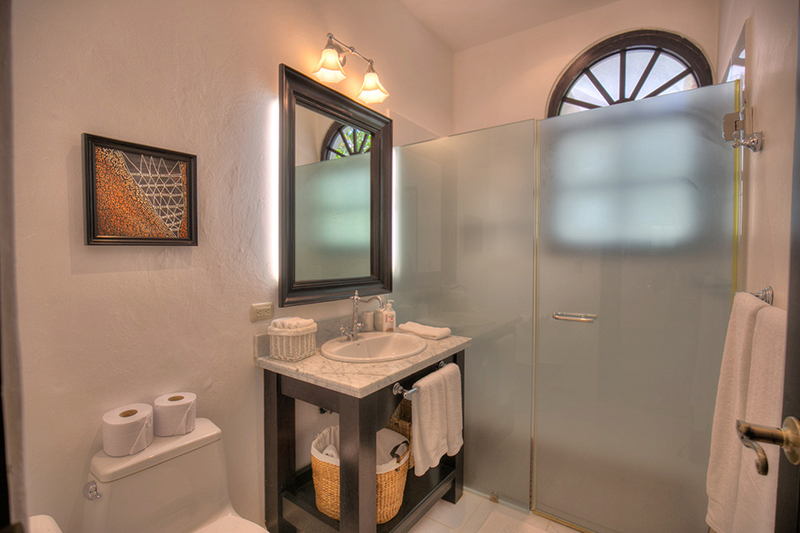 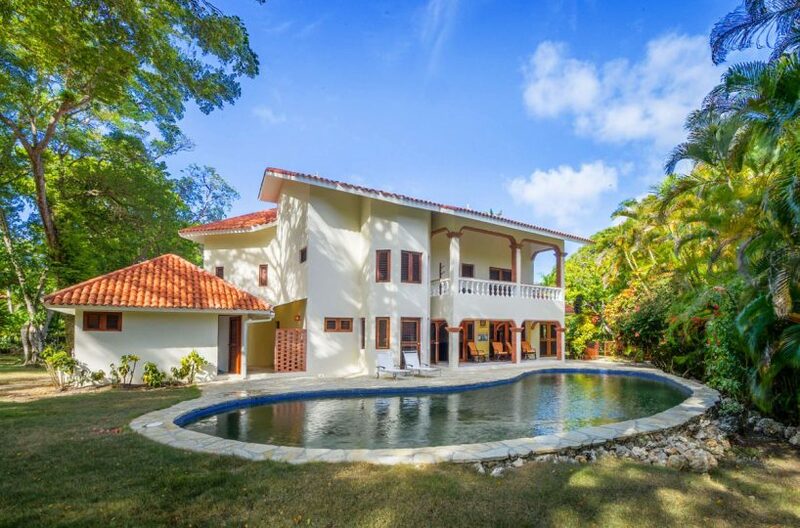 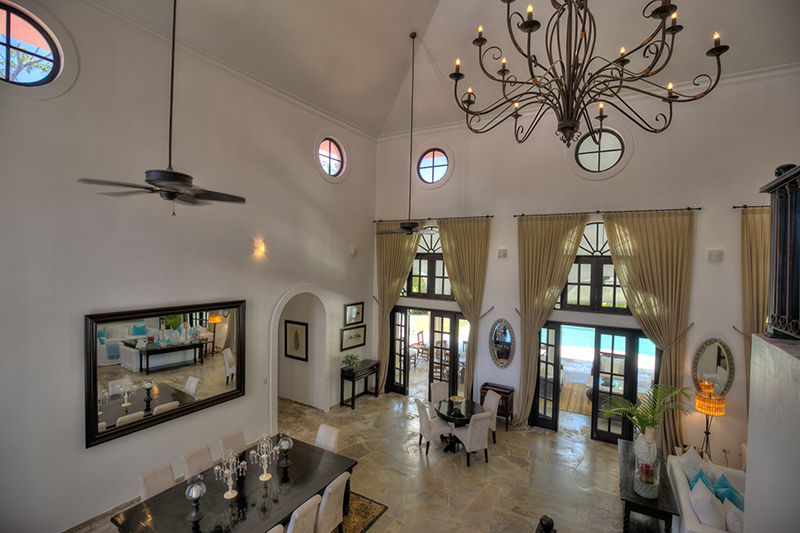 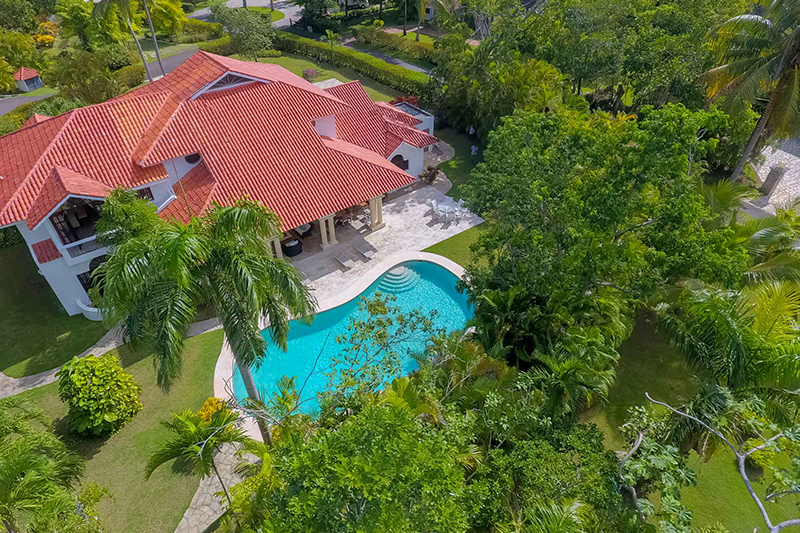 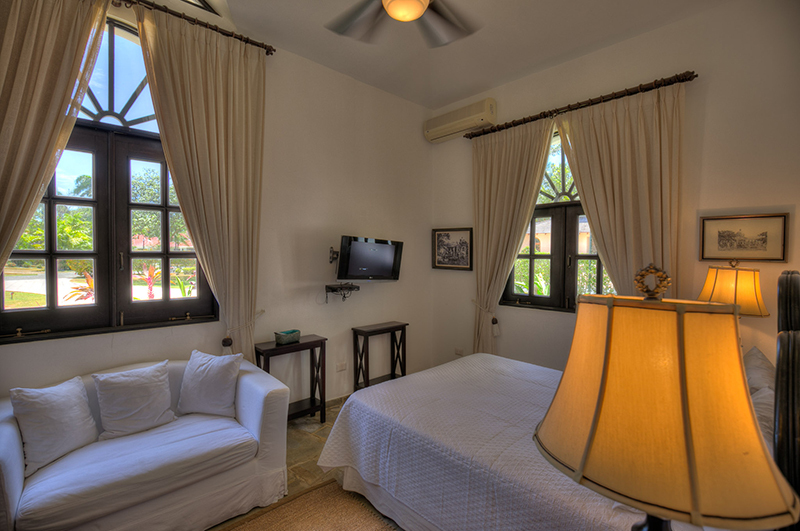 This timeless villa enjoys one of the best residential addresses in the Caribbean. 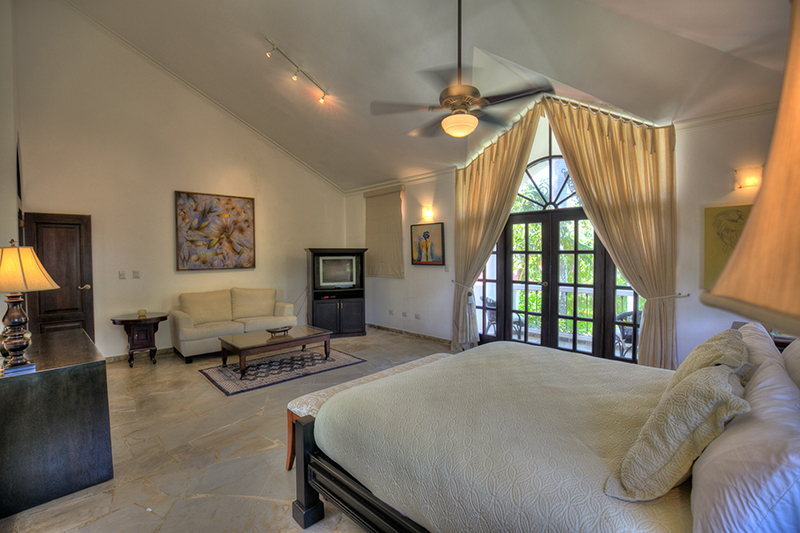 Contact us to learn more about property rental or ownership of this lovely island villa.